Kaltman Creations Spectran® HF-6080 V4 is a complete RF (Radio Frequency) spectrum analyzer kit that will effectively expose RF interference, drops, exposure limits and other issues that may impeade RF signal transmission. The HF-6080 V4's standard frequency-sweep readings and signal-strength readouts features display markers that show the three strongest peaks and their associated frequencies during each sweep. 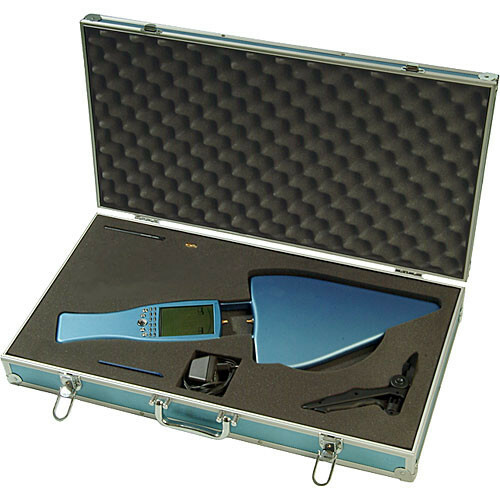 The HF-6080 V4 is sold in a system package that includes an aluminum carrying case, SMA full-range antenna, batteries and charger (charger doubles as an AC adaptor), PC software for enhanced visual monitoring, a HyperLOG 700MHz to 2.5GHz precision directional antenna (other directional antennas available) and a mini tri-pod stand. Box Dimensions (LxWxH) 25.0 x 14.8 x 5.1"